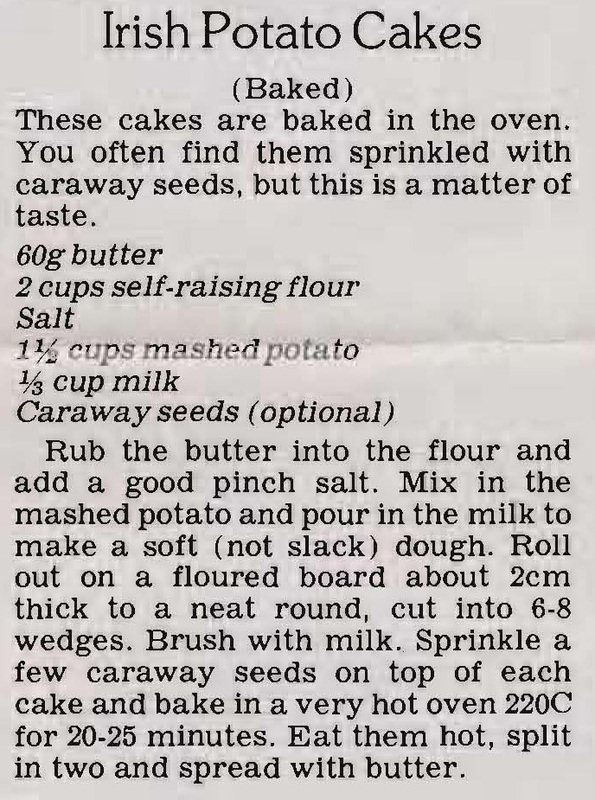 I think this recipe came from my sister-in-law’s grandmother. 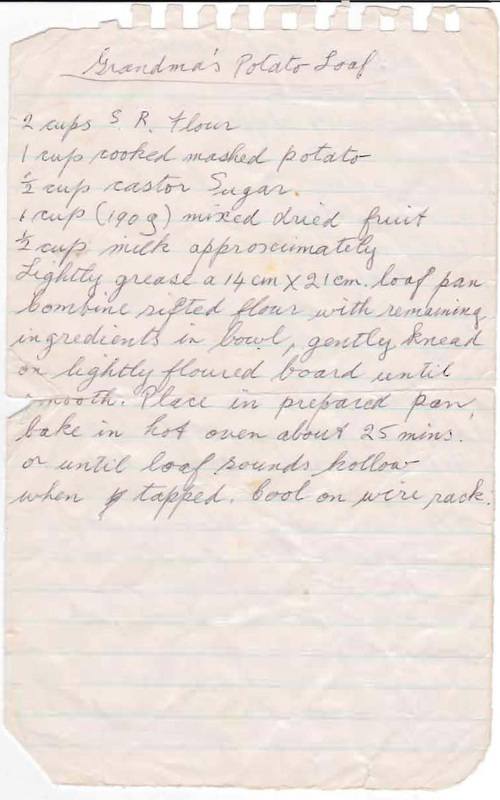 Mum’s mother died when she was quite young and no recipes from her seem to have survived. The addition of mashed potato makes this fruit loaf a bit unusual. As you can see Mum’s cut this recipe off the back of a packet of Cream of Chicken soup mix. It’s a really simple patty recipe that you could add other vegetables to if you wanted, but would be nice with just the potato and shallots. 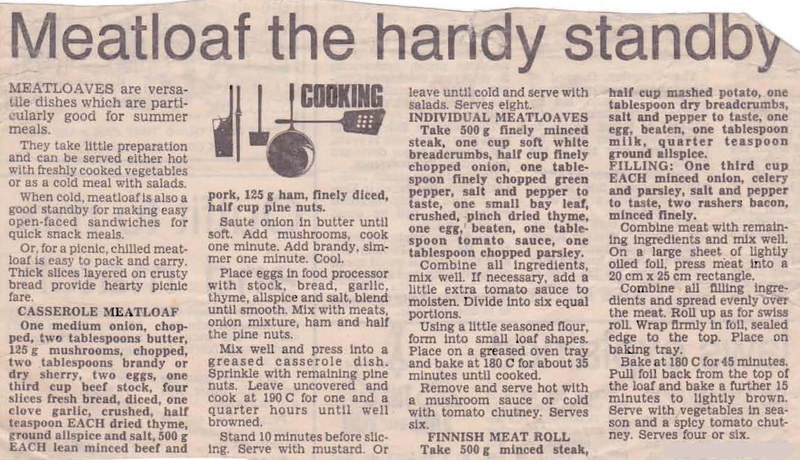 By the yellowing of this newspaper clipping Mum cut it out of the Herald Sun quite a long while ago, but meatloaves never go out of fashion. The article talks about how good cold a meatloaf is and how good it is for picnics and sandwiches, but hot meatloaf with roast potatoes and gravy is really very hard to beat. Great hot for dinner and great next day for sandwiches – as the article says, it’s very versatile. 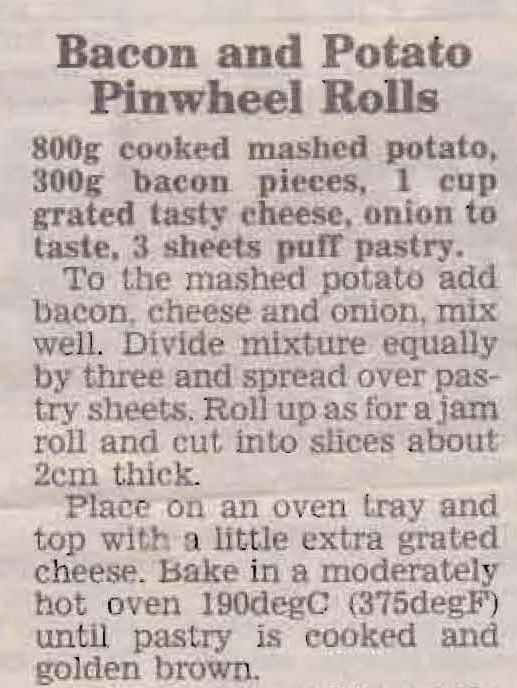 This recipe comes from the Herald Sun cooking page from around August 1994. Can’t remember Mum ever making them, but now I’ve found it I’m going to give them a go. They look like they could be good to have with a drink.